**Update Alert! ** now includes the all new 'battles' 2-3 player competitive mode! New levels of drama and competition added to the original award-winning co-op game. 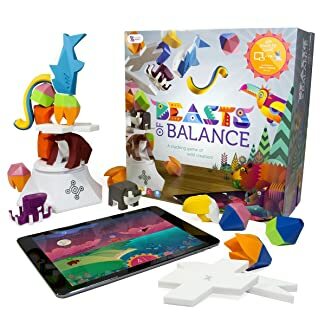 The multi award-winning connected stacking game for all ages that comes to life on your tablet, phone or TV! New updates to the free app mean you can now play competitively and co-operatively! Beasts of balance gets better and more challenging than ever before with brand new augmented reality battle cards and 7 new add-on packs.